We provide all types of commercial property cleaning services. We also provide affordable carpet cleaning service around Brisbane area. Our affordable cleaning service is one of the most popular cleaning services around Brisbane. M.J. Demolition pride ourselves in our multi skilled, highly trained operators with multiple use machines and specialized equipment to tackle any job.Based in South St Road,Raceview 4305 QLD. 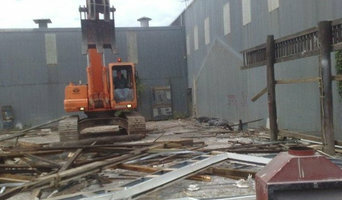 M.J. Demolition offers a broad range of demolition services to the local region. We specialise in residential asbestos removal, with work ranging from the removal of a single sheet of asbestos to the stripping of an entire home. M.J. Demolition staff take all protective measures, wearing disposable suits and gloves. All staff also wear respirators, either disposable or non-disposable that comply with Australian Standards (AS/NZS 1716). We have a wealth of experience in the demolition industry providing services to commercial, industrial and residential clients.We have built up a proven track record and reputation for being competitive, efficient, reliable and easy to get on with management and staff, and for completing all works to the highest standards. Our company prides itself with a good safety record, and we have implemented high safety management plans. All of our employees are trained in line with current legislation and are continually accessed and certified in all aspects of their work through external and in-house training in accordance with relevant government departments. We have the appropriate insurance coverage, eg. Public liability Workers' Compensation insurances. Our first and foremost priority on all of our projects is public personnel safety.At the forefront of each and every project we undertake is the commitment to completing the job in a worksafe manner within the allocated time. As independent professionals in the industry we can offer you practical, informed advice on your demolition requirements. 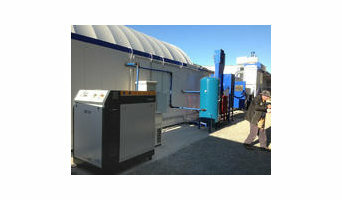 With internal workshop facilities and specialised plant and equipment,M.J. Demolition has the resources to deliver on all client requirements.We have the ability to offer complete packages for all works has set the benchmark for the industry. Construction companies, government departments, municipal councils, developers, and other business partners have come to rely on M.J. Demolition complete service, offering a smooth transition from demolition through to civil works.We pride ourselves in being able to independentlydemolish large commercial structures and clean the site no matter how isolated the area may be. With more than 10 years experience, Pro Carpet Cleaning Brisbane provides the lowest rates and the latest equipment to bring your old carpets back to life. Our professionals always know the right method to remove even the most stubborn of stains, and our levels of customer service are unmatched anywhere else. WHY CHOOSE US? Pro Carpet Cleaning Brisbane team always endeavours to make sure that every job is done properly the first time and at the cheapest rate. We use only cleaning products which are family and pet friendly and come prepared with the latest cleaning equipment to ensure that your carpet looks brand new after we have finished. Unlike our competitors, we make sure that we keep our appointments or let you know if there will be any delays. Pro Carpet Cleaning Brisbane team is also prepared to give you FREE advice and some of the most competitive quotes around town. OUR SERVICES Pro Carpet Cleaning Brisbane is well equipped to bring your carpets back to life. Whether your home or office, restaurant or body corporate needs a quote and clean, you can count on us. Our full range of services include - - Mattress Cleaning - don't spend money buying a new mattress. Let our cleaning experts bring your old mattress back to life. - Tile and Grout Cleaning - need to spice up your bathroom, kitchen or toilet? - Upholstery and Rugs - turn that dirty rug into a centrepiece that your guests talk about. - Stain Removal - our equipment will remove even the most stubborn of stains. - Dry and Steam Cleaning - for the best results. - End of Lease - make those carpets look brand new before your house is handed back to the Real Estate. SERVICE LOCATIONS Pro Carpet Cleaning Brisbane team services the entire Brisbane area up to the Gold Coast, including the following locations - - Brisbane City and CBD - Western Suburbs - Brisbane Northside and Southside - Toowoomba area - Ipswich and Yatala areas Bring your carpet back to life! Call Pro Carpet Cleaning Brisbane today on (07) 3555 7944. StainPro has become one of South East Queensland’s top carpet cleaning companies because of our unfaltering commitment to high-quality service and satisfying results. And more than just a service provider, we can be your trusted partner for all your residential and commercial cleaning needs. We accept jobs in both Northside and Southside Brisbane – be it for home or office we provide very reasonable rates with a 100% satisfaction guarantee. Back 2 New Cleaning uses a steam cleaning process that leaves your carpet residue free so it's fresh and soft. We in addition provide commercial cleaning services for restaurants, hotels, medical offices, professional offices and churches. We are committed to your satisfaction. We pride ourselves on our excellent customer service and satisfaction. We also offer super special discount on senior citizen, we pride ourselves on the ability to get the best results from your carpets. We use eco-friendly products. We ensure that our clients get the best of cleaning service at the lowest price in Brisbane. Carpets attract dangerous fungi, bacteria, and germs. We follow hot water and steam cleaning technique to remove such dangerous elements from your carpets completely. Our expert carpet cleaners in Brisbane provide absolutely clean and stain free carpet after proper treatment. Our cleaning procedure also ensures that you get full protection from allergy reactions from carpets. Pro Removalists Brisbane, The specialists in Removalist Pro Removalists Brisbane, is a specialized home and office moving business located in Brisbane, Australia. We have experience in the local and country wide relocation needs. At Pro Removalists, we recognize the hardships and agony that moving house or office can bring. With this in mind, we have created specialized solutions to ease the moving. Why choose Pro Removalists Brisbane? At Pro Removalists Brisbane, we commit ourselves to offering the best service. Our team of dedicated Removalists will ensure that your prized possessions are removed, packaged and delivered without any destruction or loss. Our public liability insurance and the removalists insurance ensure that any eventualities are handled well. With our fleet of trucks and small vehicles, we are always ready to take your order at whatever time. Pro Removalists Brisbane Services? They comprise the following:- · Moving within Brisbane city · Countrywide Moving · Wrapping services · Warehousing services Our Service Locations Within the CBD, City periphery, Suburbs, State to state Conclusion For the professional and stress-free moving experience, please call Pro Removalists Brisbane friendly customer support team to make an inquiry or to place your order. We have more than ten years experience in various cleaning services. Superior cleaning serviced are provided, which includes the fact that all workers have all licenses and insurance, and minimum three years experience in similar jobs. When you are looking for a cleaning service in a Brisbane area, there are many reasons to choose us.We have more than ten years experience in similar jobs, it is completely licensed and insured, and it guarantees a 100% satisfaction with their works. Full service includes a bond, cleaning and pests control, and all those at affordable prices. 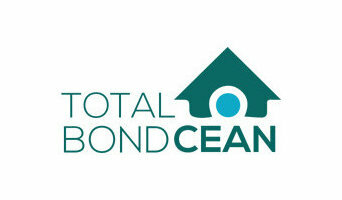 Bond cleaning services includes following: * Bond and exit cleaning * End of lease cleaning * Dry or steam carpet cleaning * General house cleaning, either occasional or regular * Commercial cleanings * Pests control Our Services Areas are in * Brisbane Southside * Brisbane Northside * West Brisbane * East Brisbane * Toowoomba * Ipswich * Sunshine Coast * Gold Coast To resume, no matter what kind of cleaning service you need, you will probably look for a reliable, fast and affordable service, and that is all you will get from Pro Bond Cleaning Brisbane team. Zenith Upholstery Cleaning Brisbane technicians specialise in couch cleaning, lounge cleaning, fabric and leather cleaning and protection services. We are certified in cleaning your fabric or leather upholstery using warm water cleaning, dry solvent cleaning, couch steam cleaning using upholstery dry foam cleaning methods.Our couch cleaning technicians are certified from Institute of Inspection Cleaning and Restoration . Liven up your home carpet back to the latest by hiring the preferable Carpet Cleaning Brisbane. And get the experienced Back2 New Cleaning anywhere in Brisbane. We also provide Carpet dry cleaning. You can just simply call us on 0410 452 014 and get the booking done on the spot. Our Expert internal & endorsement steam cleaners adepts are available in eastern, western, northern and southern colonies of Brisbane. We also offer carpet services like carpet dry Cleaning, Carpet shampooing, carpet stain removal and many more services You are just one right step away. Hire us to get the best solution. If you are looking for the best of Carpet Cleaning Services in Brisbane, then you don't have to wait anymore. Peters Cleaning Services has all your resolutions. Secured carpet stain replacement service adopting eco-friendly elements. Our adepts technicians work 24/7 and we provide an entire suspension for carpet cleaning services. With us, you can easily opt for carpet dry cleaning, carpet steam cleaning, carpet deodorizing, carpet sanitization, carpet mould restoration specialists ready to extricate carpet flooded water immediately and quick drying services accessible. reach us online or give a call on 1800190206 for the best solutions.